Both systems are designed for ease of use and feature a full-colour, menu-driven, touch-screen control system for fully-automatic control. The control system can store up to 30 different process recipes for easy recall and can output process data to a separate device for storage. In addition to EM applications, BT-series can also be configured for metals sputtering and metals evaporation for researchers. BT-series systems can sputter non-noble metals such as aluminium where the turbo pump option is fitted. 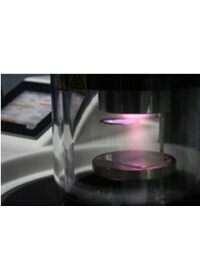 • Metal sputter source for SEM sample prep. BT150 systems are fitted with an integrated source shutter. 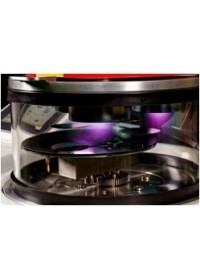 Sample stages include a static SEM stub holder with water-cooling and etch, plus options for rotation and tilt. A planetary stub stage with adjustable tilt angle ensures that re-entrant samples are coated across their entire surface. 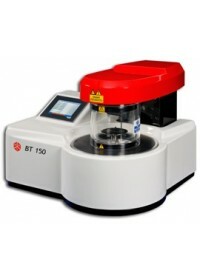 The versatile BT150 can also be used in research applications. 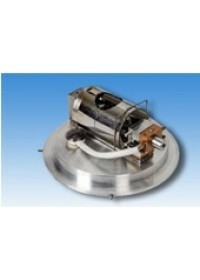 The turbo-pumped version can sputter noble and non-noble metals and the system is offered with a 100mm diameter rotary stage for location of samples. 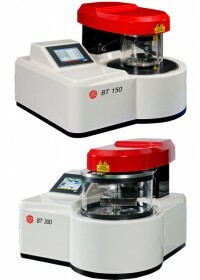 An optional resistance source allows coating of a range of materials onto small samples.BT150 research coaters can be specified with the integrated film thickness monitor and control system. 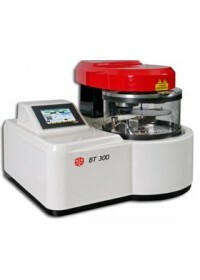 The BT300 research coater is specially designed for metal deposition onto larger samples. The system is offered with two sputter heads for sequential deposition of two metals, or with three sputter heads for sputtering a single metal onto a substrate up to 200mm diameter. All BT300 series systems are fitted with a standard integrated source shutter. BT-series includes the option of a fully-integrated film thickness monitor system. The system is integrated into the touch-screen controller and provides control of the thickness of sputtered films. BT150 uses a single quartz crystal measurement head. 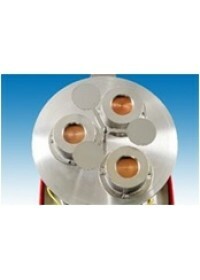 The BT300 dual-sputter system uses two heads for accuracy. BT150 system features fast and easy source change. Deposition sources are quickly removed for re-loading or changing. BT150 features an automatic system which allows the system PLC to recognise the fitted source for correct operation. The systems can be specified with an optional two-stage rotary pump for ‘everyday’ operation with carbon and noble metals. The turbo pump option provides additional vacuum performance those users requiring true high vacuum conditions. Sputter systems can sputter non-noble metals such as Al where the turbo pump option is specified. Chamber: Glass cylinder 165mm diameter x 150mm tall with implosion guard. Optional 200mm tall chamber. 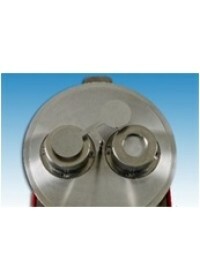 Process gas admission: Single channel pressure control system with chamber purge facility. Separate chamber vent. Sample stages: 2-target systems have 100mm rotary stage which self-positions below the active source. Crystal holder: 2-target systems have 2 crystal monitor heads.